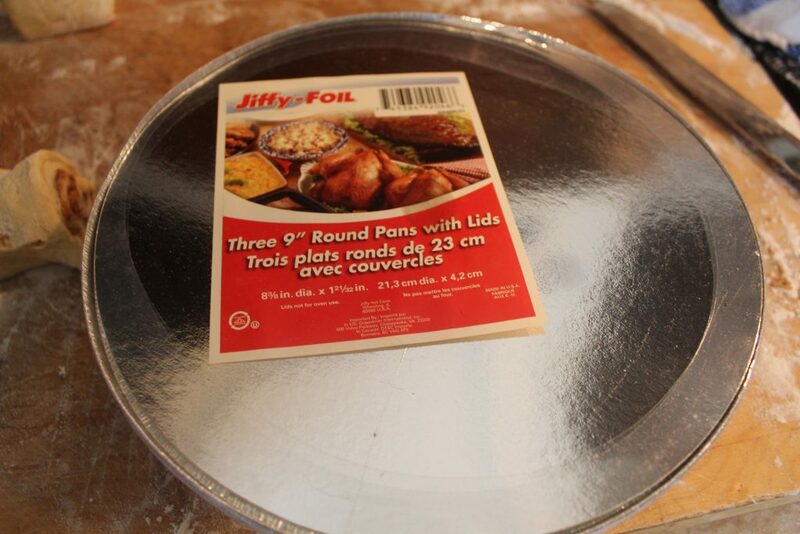 I have par-baked hundreds of cinnamon rolls and I find that these 9 inch metal pans complete with the lid work the best. They are available at most dollar stores and they stack well in the freezer. If these are not available to you than a metal pan well do also. 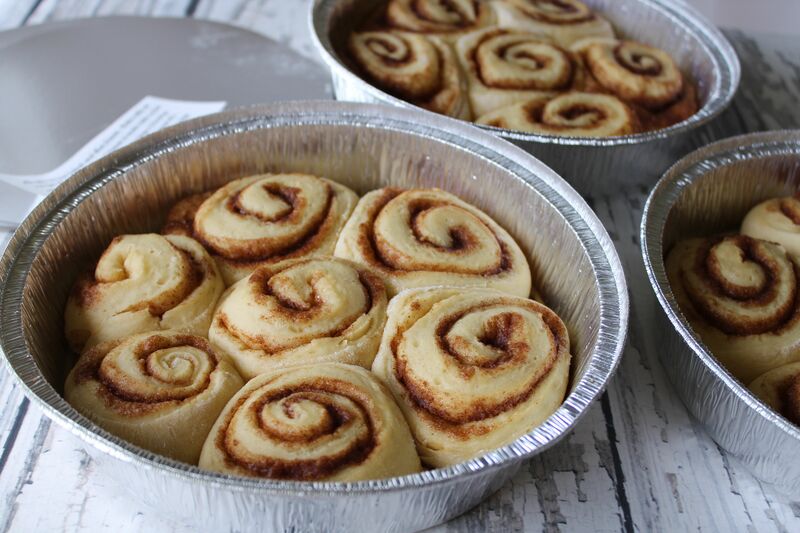 Once you get your pan situation settled chose your favorite cinnamon roll recipe, ours is my Cake Mix Cinnamon Rolls. When it comes time to slice the rolls place them in a sprayed pan leaving room for them to double in size..
Once they have double in size place them in a preheated oven and let them bake for about 10-12 minutes . You want them to rise and set but not brown, if there is a little browning it’s ok though. 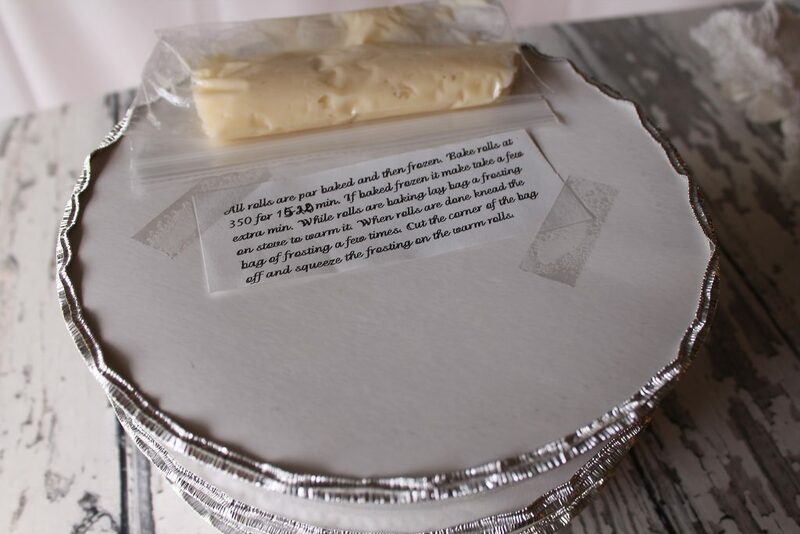 Allow the rolls to completely cool and cover tightly either with the lid provided or plastic wrap. If you plan on baking them the next day you can place them in the fridge if not place them in the freezer. 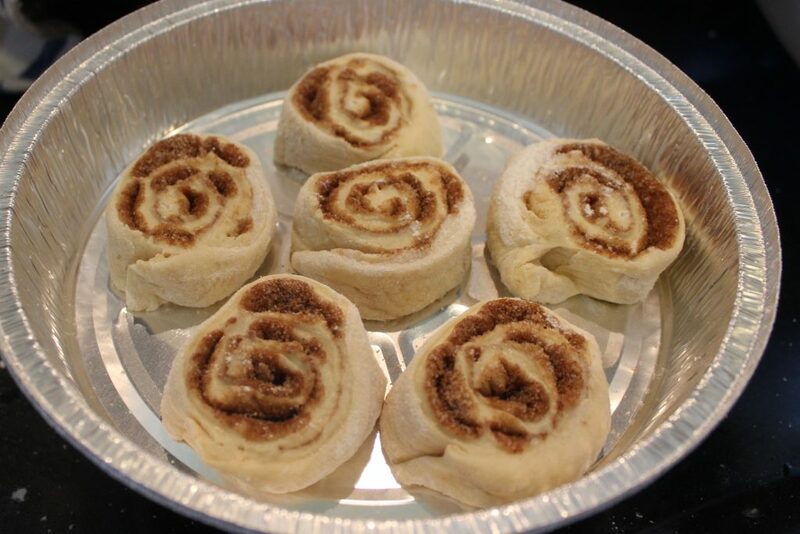 A great option is to make your favorite cinnamon roll icing and freeze it in baggies along with the rolls. Once the frosting is defrosted just snip the corner of the bag off and pipe the frosting on the hot rolls. Attach directions on how to bake them so it will be easy on everyone . When ready to bake pop them in the oven for 15-20 minutes. 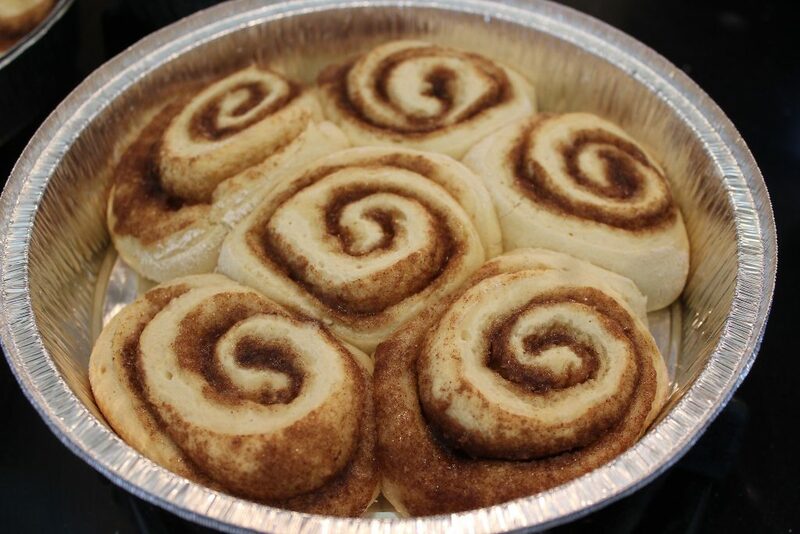 Enjoy a hot and delicious cinnamon roll that you didn’t have to wake up before sunrise to make. Honestly , Cream Cheese Cinnamon Roll Frosting is amazing and makes the perfect topping for homemade rolls.